Getting to know Newport, Rhode Island, is -- how should I put this? -- just a bit different from touring around other famous resorts. You were thinking a quick walk-through of The Breakers or another summer mansion? Think again. 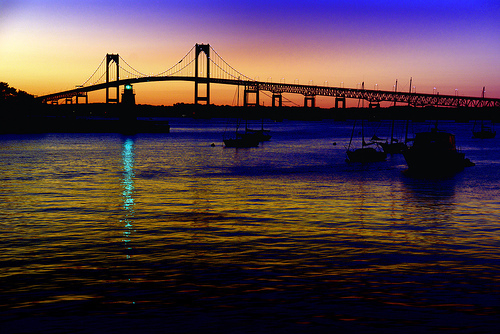 Newport, you see, has no less than nine cities to explore. The "Nine City" legend has its roots in Thornton Wilder's classic novel, Theophilus North, which was first published in 1973. Lace up your best sneakers. You're going to be padding around nine parallel worlds that are layered within this coastal town of only about 26,000 people. There's the "First City" of early Colonial landmarks, the world-renowned "Third City" of yachts and wharfs and docks and cargo-loads more. My wife and I, both Rhode Islanders, drive down to Newport in every season and as often as we can. Even in flurries or fog, the clang of ropes on masts and the squeal of seagulls make us feel like we are in a nautical yarn that is about to be told. Here is our top pick for each of Newport's "Cities": things to see, eat and do so you can enter the story, too. Newport's First City, according to Wilder, is what you can find of the town's earliest life. Historic homes show off cornices and clapboard built by English settlers (Newport was founded in 1639). But more dramatic than these is a simple cylinder of stone. Known as "the Viking Tower" or Old Stone Mill, this twenty-four-foot fieldstone pile in Touro Park is a persistent mystery. Some say it was constructed by Vikings who had landed here 1,000 years ago. Others date it to around 1660 and credit Governor Benedict Arnold, great-grandfather of the famous traitor. See it for yourself to decide. 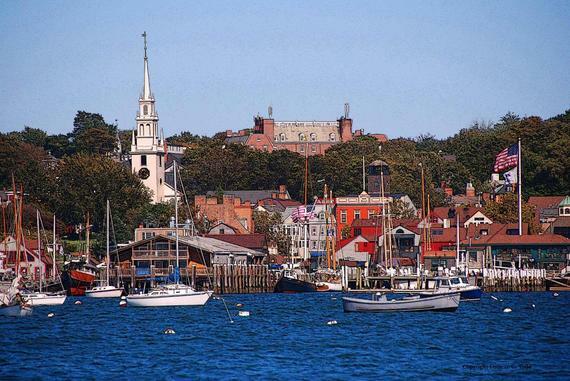 The Second City is Newport's "eighteenth-century town" which has a lot to pick from. The must-see here is Touro Synagogue: the oldest in the country, dating to 1763. Touro's clean, tropical-island lines are an architectural draw, and it's famous as a symbol of American religious freedom. About a year before the Bill of Rights was passed, President George Washington sent a letter to the worried congregation promising that the new government would "give to bigotry no sanction, to persecution no assistance." Experiencing Newport's Third City -- which is all about yachts and regattas -- means getting out on the water, preferably by sail. One of my favorite tour boats is Adirondack II, a traditionally-rigged 60-passenger schooner built, not of fiberglass, but of fir, teak and mahogany. Daily sailings on the Adirondack II breeze you across Narragansett Bay, past a cluster of historic lighthouses and close to Hammersmith Farm (Jacqueline Kennedy Onassis's childhood home). Sign up for seaspray, a whiff of fresh varnish and -- almost forgot -- glasses of champagne onboard are only $1.00 a pop. Newport's Fourth City is its military side. With the Naval War College here, that service branch gets all the local press. 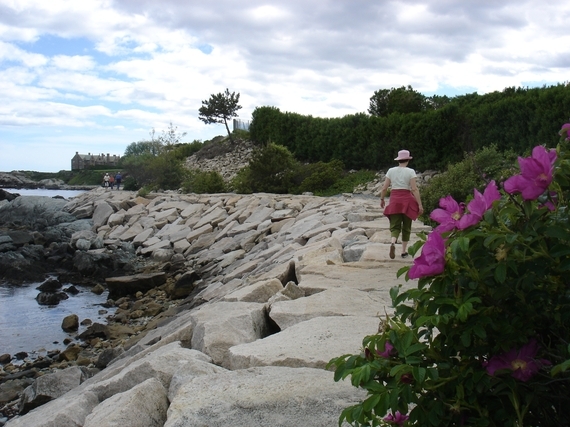 But for its history and views, check out Fort Adams, the nation's largest coastal fortification which was pressed into service during the Civil War, Spanish-American War and World Wars I and II. A peacetime mecca for crowds snapping photos of flotillas of tall ships (usually June and July), it's home to the world-class Newport Jazz Festival come August. Often showy, always preppy, Newport seems like the last place for a Greenwich Village-style colony of artists. But this, in a nutshell, is its Fifth City. Henry James's family lived here as did Julia Ward Howe, author of 'The Battle Hymn of the Republic.' To slip into this world, attend a chamber music concert at the Newport Music Festival which is celebrating its 47th season this summer. The Festival showcases internationally-known musicians every July, filling the grand salons of the Gilded Age summer "cottages" with arpeggios and grace notes, not to mention eager listeners. Newport's Sixth City is the one you think you already know. The Bellevue Avenue lineup of famous mansions and the peacock displays of resident Vanderbilts, Astors and others. But add a touch of mystery to your mansion visits by including Clarendon Court, which grew infamous in the 1980s when owner Martha "Sunny" von Bulow was found stretched out on the bathroom floor having slipped into an irreversible coma. Her husband, Claus von Bulow, was tried, convicted (and then in a second trial, acquitted) of trying to bump her off with an overdose of insulin. The case was featured in the 1990 movie, "Reversal of Fortune," and is still much argued about. Servants to the rich make up the Seventh City: those who, in Wilder's words, "never enter the front door of the house in which they live except to wash it." 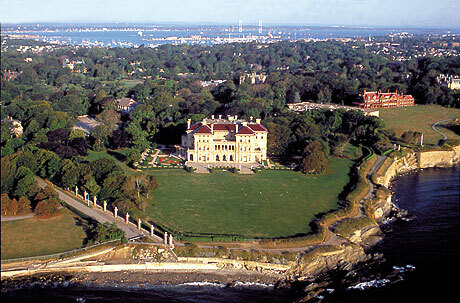 Other than taking a job polishing Bentleys, the best way to see it is to stroll on the Cliff Walk, a National Recreation Trail that traces the coast with mansion lawns for scenery on its other side. A mile south of Memorial Boulevard you'll find "the Forty Steps" which lead you down to a platform just above the sea. During Newport's heyday these steps hosted a crowd: butlers and footmen came to smoke and shoot the breeze on breaks -- all out of view of their employers. Newport's Eighth City is made up of gate-crashers, fortune-hunters and "prying journalists" (that's me). You'll bump into all of the above at Bannister's Wharf -- a cluster of upscale shops along the city's refurbished waterfront. Here Newport wannabes strut around in brand new Topsiders and Bermuda-bright khaki shorts. My wife and I like scanning the scene from the windows of Clarke Cooke House Restaurant which, in its "Candy Store" bistro, serves traditional seafood with a twist. Try for a table on the second floor for a seagull's-eye view. "Finally," writes Wilder, "there...is, and long will be [Newport's] Ninth City, the American middle-class town...with little attention to spare for the eight cities so close to it." Tasting it means no big hotels, no bus tours. 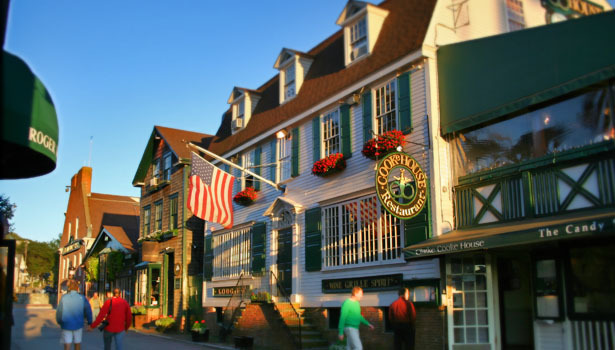 Find a small inn within walking distance of where locals eat and shop. Victorian but with a refreshingly light décor, the Almondy Bed and Breakfast Inn is a restored 1890s house that's tucked away on Pelham Street but close to the center of town. Prices are mid-range but depend on the room you reserve (and there are only five). On every side of the Almondy are normal houses, normal people. Newporters like Theophilus North. And now that you've been to all Nine Cities: like you.